Eat Drink Boulder writer Katie Ryder was able to pick the brain of Phil Joyce, Brewmaster at Niwot’s Powder Keg Brewing Company. In the interview below, Phil answers questions on how he learned to brew, challenges of the job, and what makes Powder Keg special. 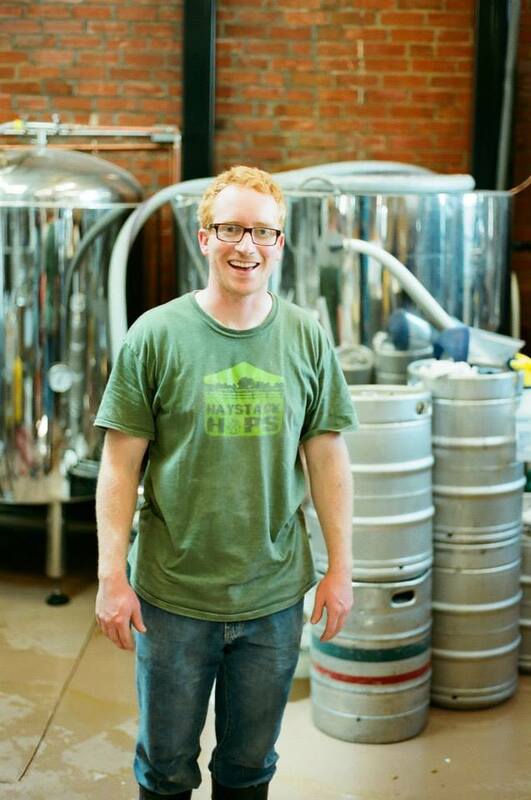 How did you become a brewmaster? Quite honestly, drinking too much beer. It started after college and my roommate at the time got me a homebrew starter kit. We made an IPA that was quite delicious for our first attempt. The engineer in me was hooked. I refined my process with larger, more precise equipment and began tweaking and setting out to perfect recipes. One thing led to another and before you know it “Megatron” (my 8 tap kegerator in the basement) always had beer on tap. A long time homebrewing, shadowing at Avery and volunteering at Crystal Springs and I realized that it was a collaborative enough industry to ask questions and get help where I needed it along the way. Mark Krebs, the president of Powder Keg, was my boss at Avidyne in college and tapped me on the shoulder to help start Powder Keg Brewing Company. Being the Brewmaster at Powder Keg is my first paid brewery job. What is the most challenging thing about what you do? Drinking my own beer because I’m my own biggest critic. I have a vision when I set out to create a new beer and the hardest part is remembering that even if a beer isn’t exactly what I want it to be, the consumer doesn’t have my preconceived vision. So even if it’s not perfect in my eyes, it might be to someone else enjoying the product. Making friends and constantly learning. There are so many great people in the industry and I can learn something new from every one of them. The beer industry really is my family. Consider your time and ability to work. It’s not easy. As I say, my yeast is my hardest working employee. When beer is actively fermenting, it doesn’t operate on a 9-5 schedule. My schedule revolves around my yeasts fermentation cycle so that means lots of odd hours, late nights and working weekends. How would you describe the beers brewed at Powder Keg Brewing Company? I really brew what I want to brew. I have complete creative freedom at Powder Keg and that is really special. In general, I like brewing old-world styles with new world ingredients. I take a lot of inspiration from German and Belgian brewing history. What is your personal favorite beer style? I can’t answer that. That’s like asking what my favorite music is. My favorite style totally depends on my mood and mindset. At this very instant I’m craving a big juicy and acidic fruit lambic. Tell us about the best brew you’ve created. What made it special? That’s like asking who my favorite child is (or at least what I imagine being asked that question would be like; I have no kids…). I can’t really answer that one either. Stylistically I’m most proud of our first sour beer release, Premiere Blanc – a champagne barrel aged golden sour with amazing white grape notes, and Intergalactic, our big juicy double IPA. I like seek subtlety and drinkabilitiy and both beers were very-well balanced examples of the style. Flavor and aroma forward without being too overwhelming to the palate! At Powder Keg we strive to create a community. It’s a beautiful space and we do a lot to try and create a fun and inviting atmosphere! Come in and grab a beer! Photo of Phil Joyce courtesy of Campbell Mac Tilt. Logo photo courtesy of PorchDrinking.com.